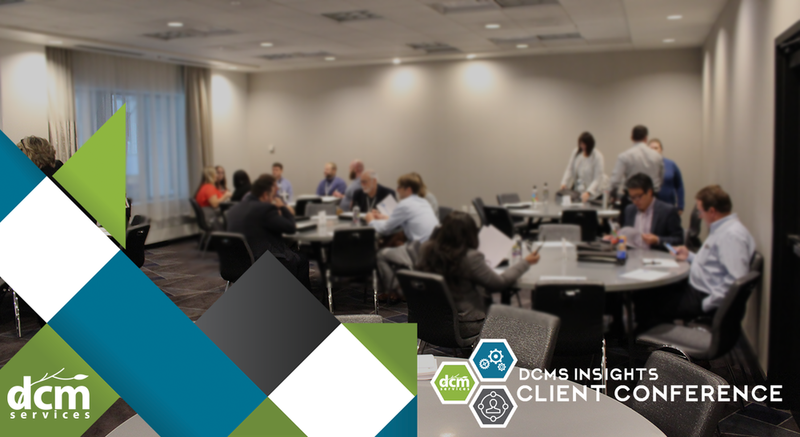 In 2011, DCM Services (DCMS) hosted its first client conference event in Las Vegas which took place in conjunction with the Collections and Recovery Solutions (CRS) conference. Through attendee feedback, we discovered we were providing meaningful value for our clients in a way that none of our competitors were. Due to overwhelming client interest, we have continued to grow and evolve the conference, drawing clients to return year-after-year. This year’s conference boasted a record-setting 55 registrants, representing 29 organizations within the financial services, healthcare, and telecom industries. This year’s event kicked off in style, starting with a welcome cocktail reception. On a crisp Minnesota evening, guests shuttled to the grand entrance of the Foshay Tower. As each guest arrived, they were assigned an alternate identity which had a corresponding companion to be located. In a lavish, intimate setting surrounded by a host of finger-friendly cuisine and chilled drinks, clients and account managers alike reconnected, creating the unique opportunity to network with industry peers. Mickeys met their Minnies and Superman swooped up Lois Lane as smooth jazz carried the foggy Wednesday night to its close. As this year’s client conference keynote workshop, Emmy-nominated local sportscaster and motivational speaker Joe Schmit illustrated the concept of Silent Impact: Influence through Purpose, Persistence and Passion. Through research, Joe has discovered that we make our biggest impressions when we are not trying to be impressive. Through his storytelling and interactive workshop, attendees gained insight on how to become an "impact player" and create greater influence within all aspects of life. Each year, we dedicate a brief portion of the conference to highlighting organizational initiatives and updates. Following Joe’s powerful keynote, DCMS’ very own Chief Executive Officer Tim Bauer took the stage to underline the importance of the incredible relationships we’ve built with our clients, as 2018 marked our 20 year anniversary. VP of IT Dereck Eastman followed with an update on our online portal, DCMS ServiceLink® enhancements to an enthusiastic crowd. Our attendee roundtable sessions have consistently been rated as one of the most valuable activities during our conferences. The opportunity for our clients to freely discuss current industry trends with their peers can be a rare opportunity in a competitive landscape. Roundtable participants were divided by industry with relevant topical discussions regarding common pain-points, obstacles, and trends within their respective industries. The closing event served as both a chance to unwind, as well as a “thank you” to our attendees for joining us. Professionally, the closing affair provided additional networking and relationship building opportunities for both our clients and internal attendees. This year, to the cue of an evening rain shower, Insights attendees took a bus ride to the former home/recording studio of the late Minnesota music superstar Prince. 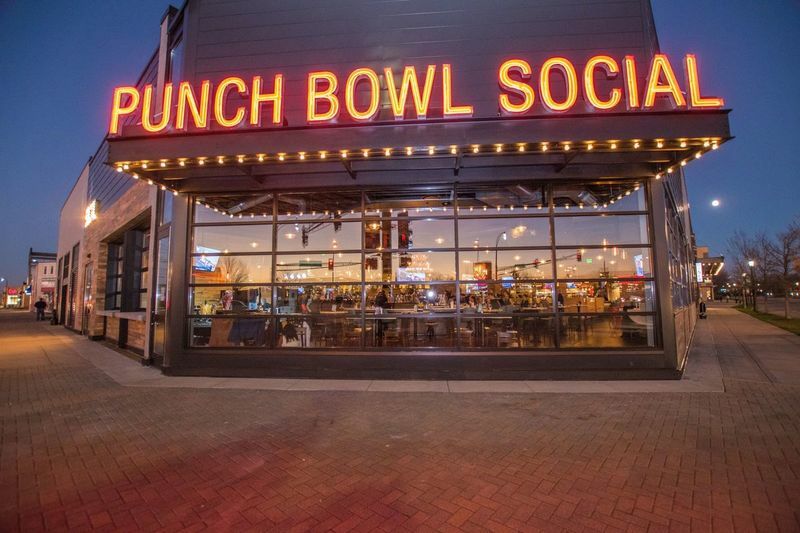 Following an intimate 70-minute tour of the extraordinary private estate, conference attendees took to a favorite local watering hole, Punch Bowl Social. Bowling, team foosball, and singing off-key karaoke punctuated the finale of a successful two days. We look forward to hosting our valued clients again next year! Want to be the first to know what’s on the docket for 2019 as well as other upcoming events and news?